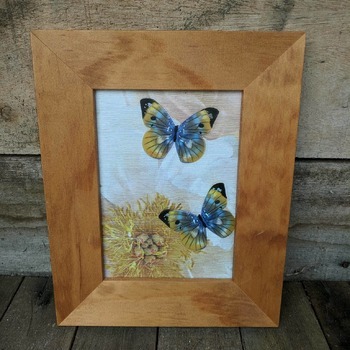 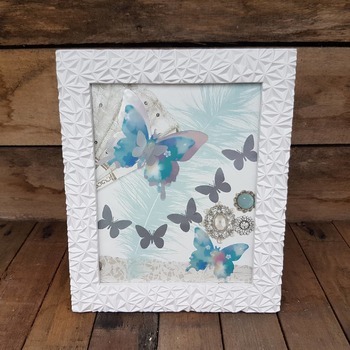 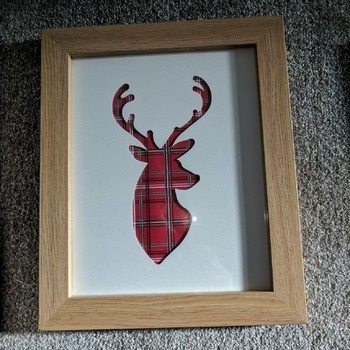 This is a lovely handcrafted butterfly picture. 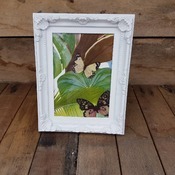 The butterflies are in black and cream with a blush of pink. 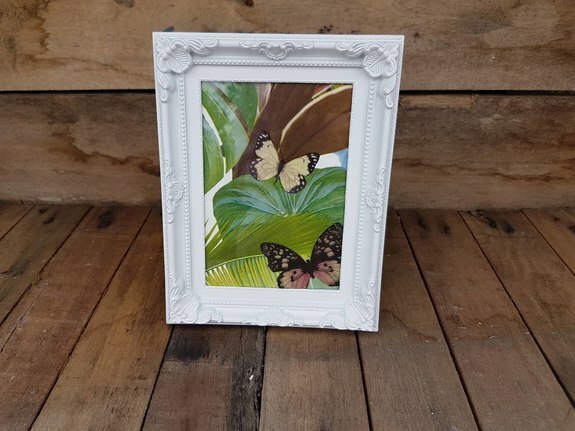 The background is vibrant green jungle with coffee coloured leaves. 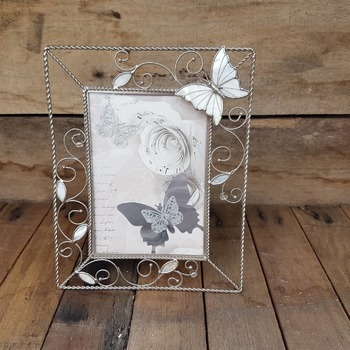 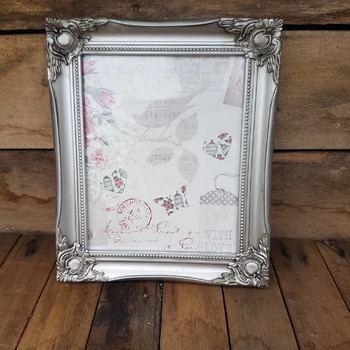 The frame is ornate white plastic measuring 8.5" x 7" and has an arm so that it can be stood up.